Billy Ray is the Iraq Country Director for World Orphans, and a valued partner of Love Does. 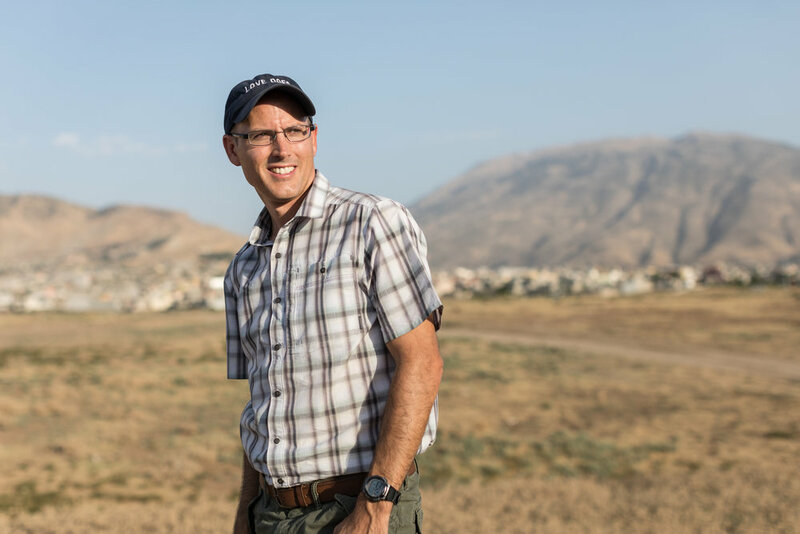 We took some time to sit down with him and learn more about life in Northern Iraq, and the future of the Love Does projects there. 1. If you could start by introducing yourself to us with your name, and where you’re originally from. My name is Billy Ray [officially William Jackson Ray]. Some folks think that Billy Ray is my first name, but it’s my first and last name. I was raised in a military family. My Dad was a fighter pilot. We were stationed in London, UK when I was born. 2.How did you end up in Iraq? God put the Middle East on my heart back in 1997. I went through a year of training at my church and then moved to Istanbul, Turkey in 2000 where I met my wife, Dawn Marie. We got married a year later and spent 6 years in Turkey, having 3 boys in the process: Peter, Andrew, and Jonathan (all born in Eskisehir, Turkey). We moved to Northern Iraq with World Orphans in the summer of 2008. 3. How are you seeing restoration through the Love Does projects in Iraq? One of great things about the Love Does School is that it not only employs nearly every major ethnic group, it also educates every major ethnic group found in Iraq. We have Arab, Kurdish, Assyrian Christian, and Syrian teachers teaching Arabs, Kurds, Yazidis, and Syrians. It’s quite a mix. Being able to bring all of these ethnic groups representing 3 very different religions into the same classroom gives the students the opportunity to break the stereotypes that have been handed down to them for generations and have caused conflict through the years here in Iraq. It’s amazing to see their interactions and to see them make friendships that we hope will carry through their lifetime. 4. How has your life changed since being in Iraq? What does your daily life look like now? Life in Iraq is best described as a series of exhausting sprints interspersed with longer periods of calm. If you’re used to a 9 to 5 job getting you out of bed each morning and coffee thrusting you into the next day’s activities, you’ll find that things move a bit more slowly here. However, there are those times when daily life takes on a speed, we never felt in America. 5. What’s your favorite meal there? We love stuffed grape leaves, buryani, and kebabs. They eat a lot of chicken and rice here. 6. What impact is the Hospital going to have on these families in need? Well, as you know the Hospital isn’t just a place to go and get well. 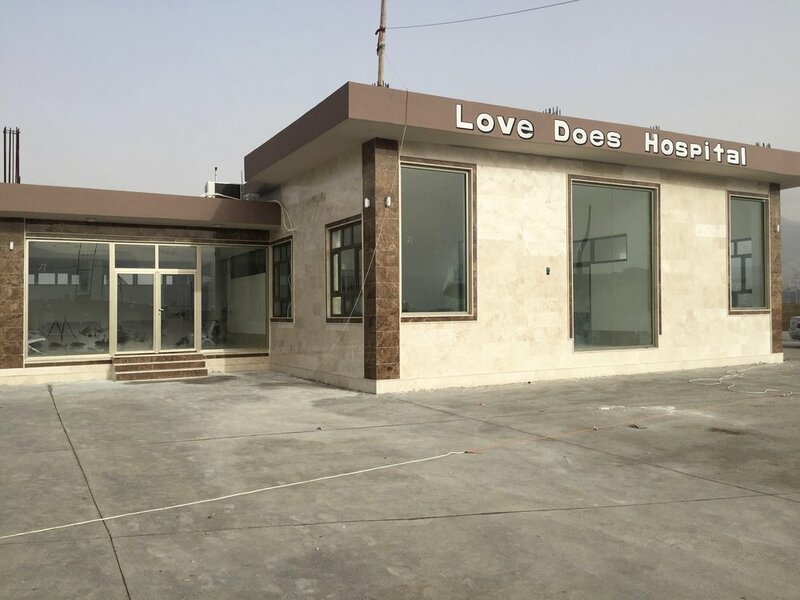 It will function as the center of the Love Does Village, which along with other houses in the area house some 40 families that have fled conflicts from ISIS and from the Syrian regime. We hope to not only offer medical treatment but also trauma care to meet the needs of these precious families. 7. How has the Love Does School impacted children and families since opening? Well, if there’s one thing that we’ve learned it’s that the Syrian refugee families are totally committed to education. They have thanked us again and again for opening up the school, telling us plainly that if there wasn’t a school for their kids to go to, then they would move away -- move wherever they could find one regardless of the living circumstance. I think we really have created a unique environment in which the kids can learn. They have friends meet and have friends from every other ethnic group in Iraq. We also have a soccer field and community center for them to get involved with, and all within a few blocks of the Love Does Village. 8. Where do you see the future of the the Love Does School, Village and Hospital heading? In 5 years? 10 years? This year we hope to build another 60 homes for Syrian refugees, in particular. There are many, many more Syrian refugees in our city that just have been overlooked in the dispersement of aid through the years. We’ve set our hearts to hopefully supply homes for not only 60 more families this year, but upwards of 150 more families over the course of the next 5 years. We’ve established now a permanent neighborhood of Syrian refugees, also Yazidis that have access to medical treatment and education. More and more refugee families want to move into our part of the neighborhood. We hope that we can offer them the care that they need to get back on their feet, education for their children that will propel them further than their parents, and perhaps help them succeed in returning back home one day to Syria better prepared to respond to life’s challenges. 9. What’s your favorite part about what you do? It’s so much fun seeing the smiles on all the kid's faces each day at the school and being the recipient of hundreds of ‘thank you’s' from the parents is so rewarding. We’re just thankful to be here as a family, and in a small way perhaps be the hands and feet of Jesus to them. We came here to serve, and we just feel fortunate that we’ve been given the opportunity to do so in such incredible ways through the Love Does School and Hospital. 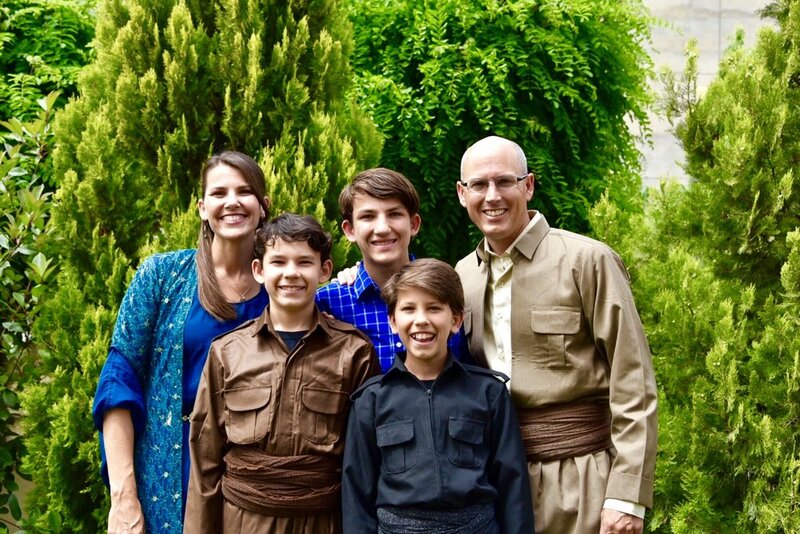 We are so grateful for everything that Billy Ray has done for the Love Does Village, School, and Hospital in Iraq. We wouldn't be able to do it without him!